UHL 28 is a truck that has been a good asset to the fleet. The 2005 Kenworth K104 began duties on refrigerated work, but has spent most of its life in the LPG fleet towing a quad on bulk deliveries around the north Island in the hands of Glen (known as Rogee by most). Glen got the unit new and although he has had a few other trucks for periods in between, Glen has only really been at peace when he had UHL 28 as his daily ride -really his evening ride – as he works permanent afternoons. Troy and Crazy Horse crack 2 million. “Crazy Horse” – Uhlenberg Haulage’s Fleet number 18 turned its two millionth kilometre this morning. 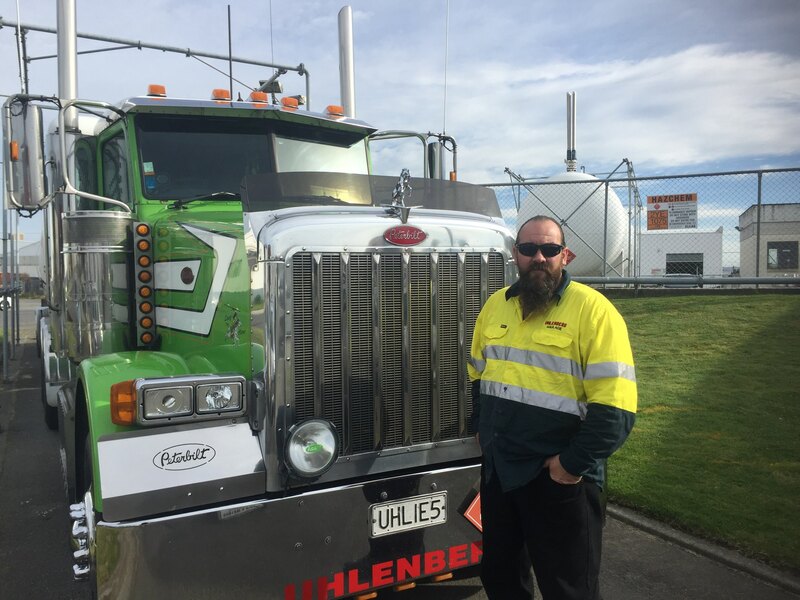 This milestone occurred on May the 10th - while east bound for Napier in the hands of operator Troy Bellamy, who has been partnered with this truck from new. Uhlenberg Haulage Ltd, now have a Facebook page. Stay informed and keep up with the latest news from the team by following our page - @Uhlenbergs. 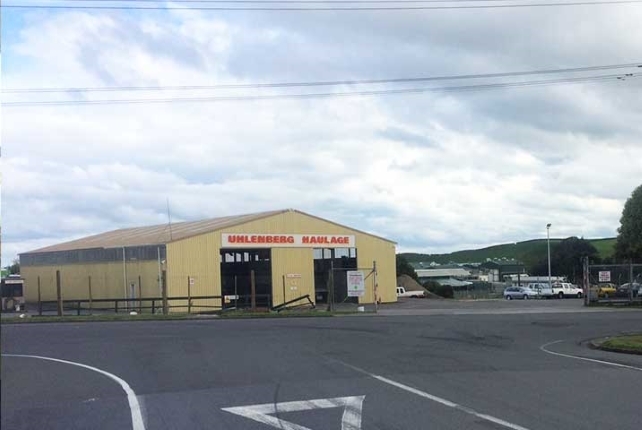 Uhlenbergs have recently purchased a swing lifter - to compliment the container section of their business. This brand new unit features the latest technology and is an Inline Legover” design – which due to increased levels of stability -- maximises the level of safety during movement of shipping containers and ISO tanks – while also reducing stress on trailers during transfer. As 2016 is upon us, Uhlenberg Haulage enters its 50th year in business. It all began way back in 1966, when Mike and Carol Uhlenberg purchased a second hand Commer truck, complete with a Ministry of Works cartage contract, based at Bell Block, New Plymouth. Within a few years the fleet had grown to three trucks, carrying metal and fertliser around rural Taranaki. Logs was the next commodity that Mike and Carol geared up for - carrying export pine to Port Taranaki, as well as native timber to various mills in the area. The Uhlenberg team unfortunately were forced to see 2015 out with the sad task of fare welling valued staff member - Bryan Pickering (Pix), who passed away suddenly at home on 26th December. Pix was a popular member of the team at Uhlenbergs - his regular drive was UHL 31, the sole Mack Superliner in the fleet – the great all-rounder who floated among all of the different types of loads and jobs at UHL. Pix was a perfectionist, and is remembered as the popular guy - who was a skilled operator - capable of operating every piece of equipment in the yard. Graeme began his service driving a D series Ford way back in 1984, carrying fertiliser wool, meat and other commodities to and from local farms. Internationals, W model Kenworth’s, Mack superliner & CH as well as Peterbilt’s were operated by Graeme through his long driving career at UHL, mainly delivering LPG throughout the country - before he took on the LPG despatch role in the office - ten odd years ago.